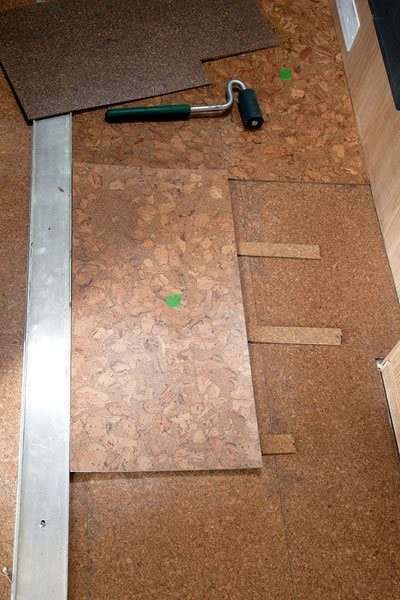 The glue down cork tile can be used as trailer flooring, mobile home flooring and on any surface – floors, walls, ceilings, counter tops, cutting boards, tables, cabinetry, etc. – with excellent results. All it takes is a little bit of knowledge and a lot of imagination! Forna tiles have been successfully installed in a “double-decker” bus to reduce road noise and add strong, yet elegant, design accents to this “executive lounge on wheels”. The owner used 6mm Rocky Bush glue-down tiles on both levels, up the stairs and even added the tiles to the walls and a few table tops. He was so pleased with the noise reduction he took the time out of his restoration to call us! He simply could not believe how much of a difference this light-weight material could make to an old, noisy diesel engine out of the ‘60s. The sound mitigation was the bonus. He originally wanted cork to help add ambiance and character without breaking the bank! What a marvelous idea! 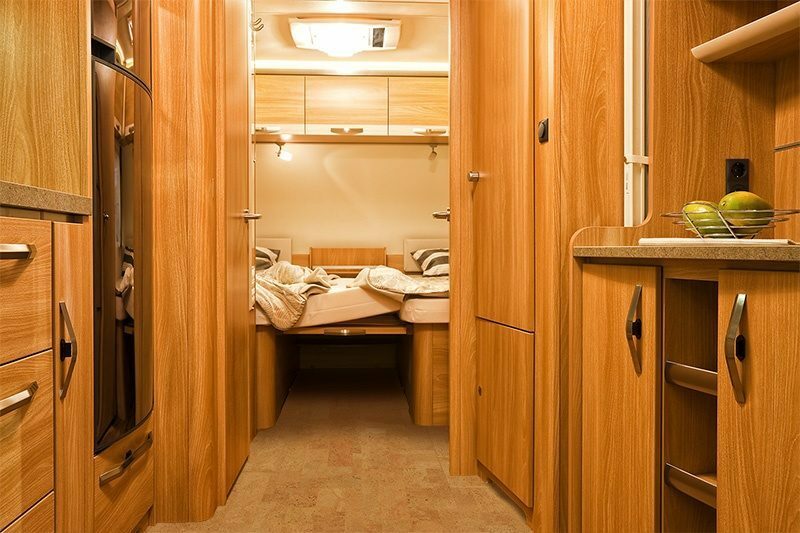 We have helped numerous owners restore their streamliners and collectable camper-trailers to their former glory. 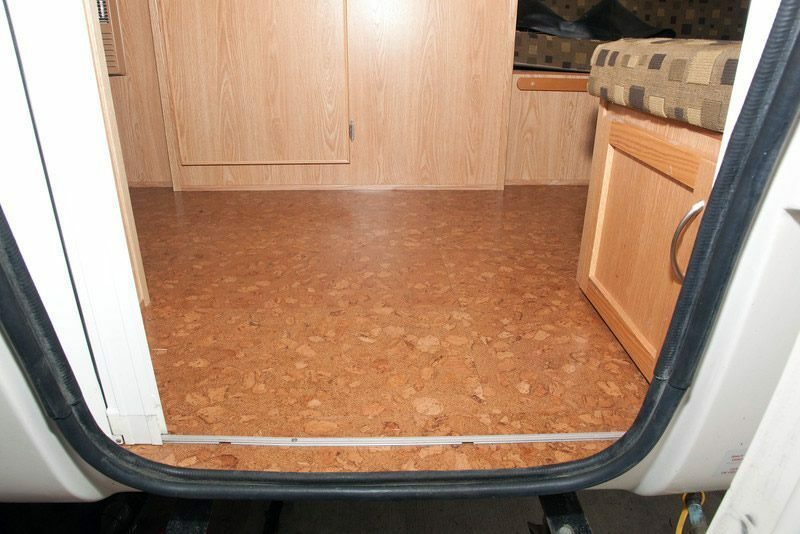 Our most recent venture saw an unusual “double stick” installation go down in a 4-season camper as trailer flooring. Golden Beach was used as the underlay and then Sand Marble tiles where installed directly over top. 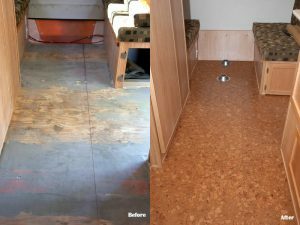 The owner was kind enough to mentioned Forna in a blog about trailer flooring for camper-trailer enthusiasts: http://www.fiberglassrv.com/forums/f56/new-cork-flooring-58623.html (used with written permission). His project neatly details his work, both in written and graphic form. 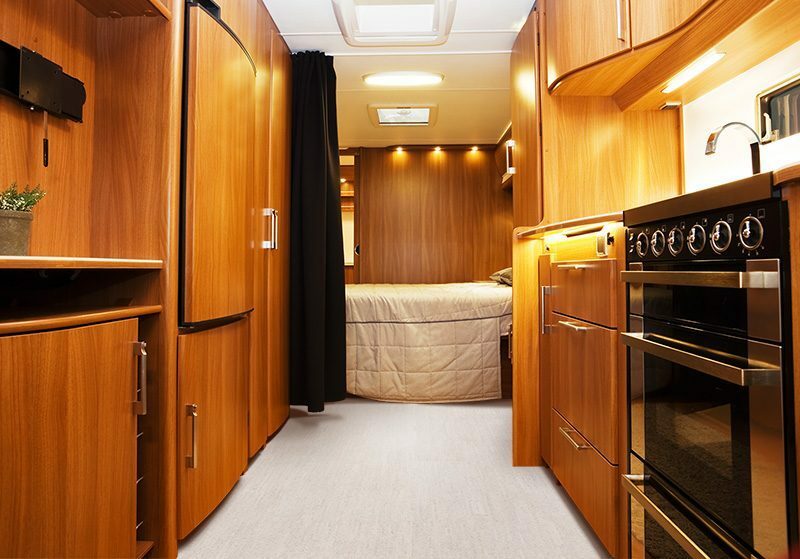 We’ve also helped RV owners refurbish their high-end homes when their top-of-the-line floors ended up looking decrepit within five years of purchase. Our glue down tiles are lighter than vinyl or carpet, can be installed in every space (including bathrooms) and offer the same amount of clearance for pull-outs than thin laminates or ceramic tiles. Very handy, budget conscious vehicle owners have used our glue down tiles to line the walls, counter tops, table tops, benches and floors to offer the ultimate in coordination! No more searching for the perfect counter to match the floor to match the back-splash! The same glue-down cork can be used in all situations for an impressive decor. Perhaps the most natural fit for cork is nautical. Forna has already helped more than a dozen boat and yacht owners renovate their craft. One sailor decided that he had enough left over to use his cork, not only in the cabin, but at the helm and gang-way. Cork’s low-slip surface is an excellent choice for surfaces that are exposed to water and bare-feet. Even though the use of Forna Cork tiles for “outdoor use” falls well outside the “residential use” warranty, our clients are confident enough in our product to use it in areas that will take more than the usual beating. Even as a whim, Forna products are priced well enough to take a chance when thinking up new and inventive ways to use this versatile material.